Get the Funk Out! : Photographer and author Bill Aron joined me Monday June 8th at 9:00am pst! We'll talk about his latest book, "New Beginnings: The Triumphs of 120 Cancer Survivors" and so much more! "Get the Funk Out!" Monday's at 9:00am PST on KUCI 88.9fm Inspirational conversations that inform, inspire and help you deal with life's Sh*tty FUNKS! Photographer and author Bill Aron joined me Monday June 8th at 9:00am pst! 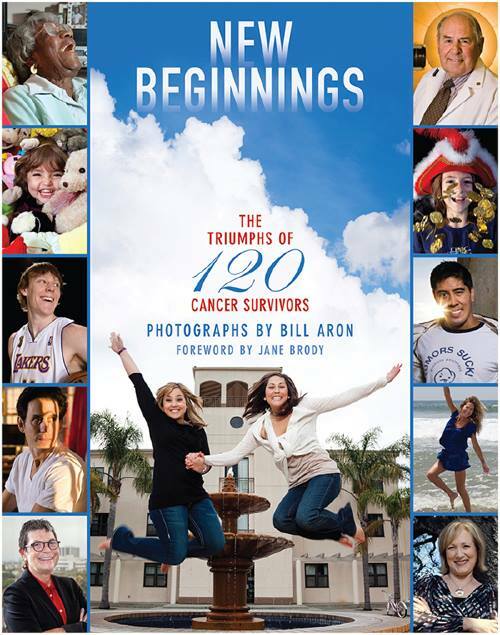 We'll talk about his latest book, "New Beginnings: The Triumphs of 120 Cancer Survivors" and so much more! Great show today chatting with special guest Bill Aron! If you missed our conversation, listen to the show here. From my first images of the Lower East Side of New York in 1974, I have never wavered from my commitment to depict Jewish Life in America and in Israel. I have therefore come to be known as the “Dean” of American Jewish photographers. I first gained international recognition for my photographs of Jewish communities of the former Soviet Union, Cuba, Jerusalem, New York and Los Angeles. A book highlighting these works, From the Corners of the Earth, was published, with an introduction by Chaim Potok, by The Jewish Publication Society. A small selection of this work can be seen online at From the Corners of the Earth. My next project immersed me in Jewish life in the deep south of this country: Alabama, Arkansas, Louisiana, and Mississippi. Shalom Y’all: Images of Jewish Life in the American South, was published, with an introduction by Alfred Uhry, by Algonquin Books. Please see the Shalom Y'All web page more details. In 2004, The Rodgers Center for Holocaust Education at Chapman University commissioned me to produce for their library 100 portraits of Holocaust Survivors in Southern California, entitledHolocaust Survivors: The Indestructible Spirit. My most recent exhibition, panoramas of urban life in Israel, involved stitching together as many as 20 images into one photograph. These photographs have thus far been exhibited at the Art Center in Herzliya, Israel, in December of 2011, the Pucker Gallery in Boston in the spring, 2012, and the 92nd Street Y in New York City in the fall of 2012. The catalog for this exhibition can be viewed online at the Pucker Gallery. For my newest project, I deviated from Jewish themes to interview and photograph cancer survivors whose diagnosis has turned into a positive force. Its tentative title is New Beginnings: Surviving Cancer – 100 Stories. A Spring, 2015, publication is planned. For most of my career, since 1976, the Pucker Gallery in Boston has represented my photography. I received my first camera at age 12 (I won it at Steel Pier in Atlantic City at the roulette wheel). It was a modest device, a Brownie Hawkeye, but it did spark something within me that led to a life long love of photography. I wanted to capture the world in front of me, and make that scene into a lasting image. All my life I’ve been interested in how people present themselves and interact with each other, including with the camera. This site contains representative samples of the various projects I have done, personal as well as editorial and commercial. My exhibitions and stock photography are also included. Feel free to let me know what you think.